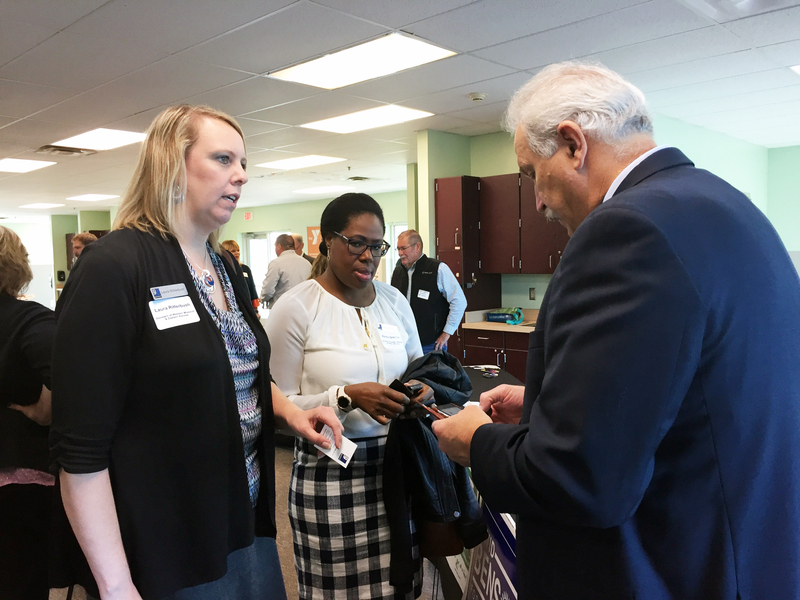 On Thursday, October 18, Nonprofit Connect along with the Kansas Nonprofit Coalition and the Kansas State Alliance of YMCAs hosted a candidate forum focused on nonprofit issues. Over twenty statewide, house and local candidates were in attendance to take questions and discuss their positions on topics pertinent to the nonprofit community. The forum was moderated by Tom Robinett, Vice President of Public Policy & Advocacy with the Overland Park Chamber of Commerce. Lynn Rogers, candidate for Lieutenant Governor running with Laura Kelly for Governor, said that he feels nonprofits have been hurt by tax policy from previous administrations, and he and Laura Kelly hope to pass legislation that will help Kansas pay down its debt and will leave nonprofits untouched with any new tax policy legislation. When asked what advice he had for nonprofits that are reluctant to engage in advocacy or public policy conversations, Secretary of State candidate Rob Hodgkinson said that he would remind nonprofits that advocacy is “about developing relationships, and is a marathon, not a sprint,” encouraging nonprofits to be patient with their legislators as they educate them on their mission and impact. Representative Cindy Holscher said that she believes taxing nonprofits would only hurt the communities they represent, and she would not be in favor of any legislation that would try to end or reduce tax exemption for any nonprofit organization. Candidate for Kansas House District 26, Deann Mitchell, said that she would be in favor of a bipartisan caucus in the state legislature that would address nonprofit issues, and agreed to be the chair of the caucus. To learn more about Nonprofit Connect's advocacy education efforts, please visit our Advocacy resources page.